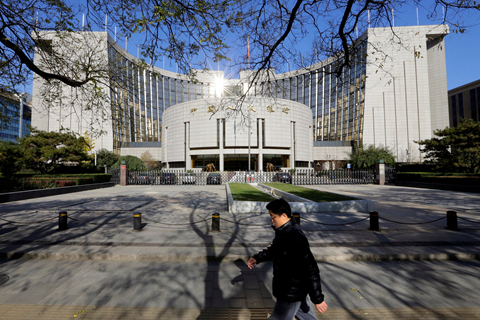 China’s central bank has set up two new departments to improve oversight of financial stability and systemic risks, a government statement on Saturday revealed, in support of the People’s Bank of China’s (PBOC) expanded role. The two new departments are a secretariat office to assist in the daily routines of the State Council Financial Stability and Development Commission (FSDC), country’s top financial watchdog, and a macro-prudential management bureau, which will be responsible for drafting regulations for financial institutions that have systematic importance, evaluating policies on foreign exchange rates, and offering advice on currency issues such as yuan convertibility, according to a statement (link in Chinese) published by the State Commission Office of Public Sector Reform (SCOPSR). The statement also confirmed that one of the central bank’s two monetary policy departments would be closed, with its duties shifted to the new macro-prudential management bureau. 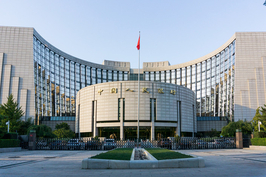 The official statement reiterated the reallocation of policymaking powers among the central bank and two other financial regulatory commissions – the China Bank and Insurance Regulatory Commission (CBIRC) and the China Securities Regulatory Commission (CSRC) -- which gives more say to the central bank in the development of strategies for the financial industry and overarching regulation. 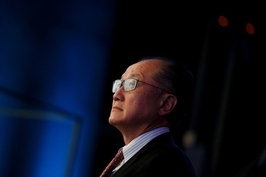 It is also the first time in ten years that central bank has restructured its departments. In the last institutional shakeup in 2008, the central bank set up an exchange rate bureau to support its closely-watched monetary and foreign exchange rate policies. 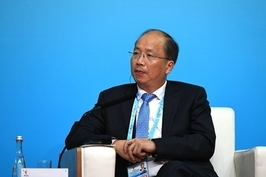 Having a secretariat embedded in the PBOC will allow the cabinet-level FSDC to carry out supervision of financial regulators more efficiently, sources close to the shakeup plan told Caixin earlier. The macro-prudential management bureau will allow the central bank to construct a coordinated mechanism among development plans, fiscal policy and financial policy, while promoting economic monitoring and improving policy research, the statement said. The PBOC is also responsible for building a unified system for collecting and sharing financial data, according to the statement. Previously, the central bank and the banking regulatory commission operated separate statistical collection systems and seldom shared their data. The statement didn’t elaborate on whether the central bank will also revamp its system to empower its provincial-level branches to draft and implement local monetary policy in line with local conditions, which was broadly expected previously. Currently the PBOC has a total 779 staff members with administrative titles, the statement showed, 15 of which are affiliated with the secretariat of the FSDC. Of the total of 779 central bankers, 92 are ranked as bureau chiefs or higher, according to the statement.